"Iconic" redirects here. For other uses, see Icon (disambiguation). A cultural icon is an artifact that is recognised by members of a culture or sub-culture as representing some aspect of cultural identity. Cultural icons vary widely, and may be visual, audio, an object, a person or group of people, etc. In the media, many items of popular culture have been called "iconic" despite their lack of durability. Some commentators believe that the word is overused or misused. A subset of cultural icons are national icons. Spitfire, a World War II fighter aircraft. Matryoshka dolls are seen internationally as cultural icons of Russia. Madonna a human character, as a global cultural icon. The values, norms and ideals represented by a cultural icon vary both among people who subscribe to it, and more widely among other people who may interpret cultural icons as symbolising quite different values. 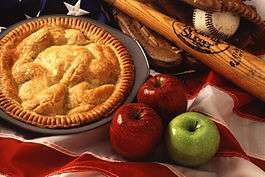 Thus an apple pie is a cultural icon of the United States, but its significance varies among Americans. National icons can become targets for those opposing or criticising a regime, for example, crowds destroying statues of Lenin in Eastern Europe after the fall of communism or burning the Stars and Stripes flag to protest about US actions abroad. Describing something as iconic or as an icon has become very common in the popular media. This has drawn criticism from some: a writer in Liverpool Daily Post calls "iconic" "a word that makes my flesh creep," a word "pressed into service to describe almost anything." The Christian Examiner nominates "iconic" in its list of overused words, finding over 18,000 "iconic" references in news stories alone, with another 30,000 for "icon", including its use for SpongeBob SquarePants. ↑ "Our Collection". icons.org.uk. Retrieved August 16, 2014. 1 2 3 4 British Postal Museum & Archive: Icons of England. Retrieved 15 December 2012. ↑ McManus, Erwin Raphael (2001). An Unstoppable Force: Daring to Become the Church God Had in Mind. Flagship Church Resources. p. 113. ↑ BBC: Tea steams ahead in icon hunt. Retrieved 15 December 2012. ↑ Thorne, Tony (2011). The 100 Words that Make the English. Cuppa. Hachette Digital (e-book). 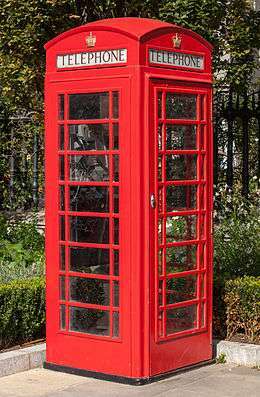 1 2 3 Culture24: Icons of England. Retrieved 15 December 2012. ↑ O'Neill, Brendan (2 April 2009). "Gulf News / Christian Science Monitor". To save a past that rings a bell. Retrieved December 15, 2012. ↑ Parker, Mike (2012). Cultural Icons: A Case Study Analysis of their Formation and Reception (PhD Thesis). Chapter 5: The Spitfire Aircraft. University of Central Lancashire. pp. 123–167. ↑ Bobo, Suzanna (25 December 2012). "Scuttlebutt: Wooden toy tells a story of love and industry". Kodiak Daily Mirror. Retrieved 9 April 2013. ↑ "Review: Madonna Style". M. November 12, 2012. Retrieved April 16, 2013. ↑ Jones, Jonathan (December 9, 2013). "Why smashing statues can be the sweetest revenge". Guardian. ↑ Laessing, ulf (September 14, 2012). "Anti-American fury sweeps Middle East over film". Reuters.